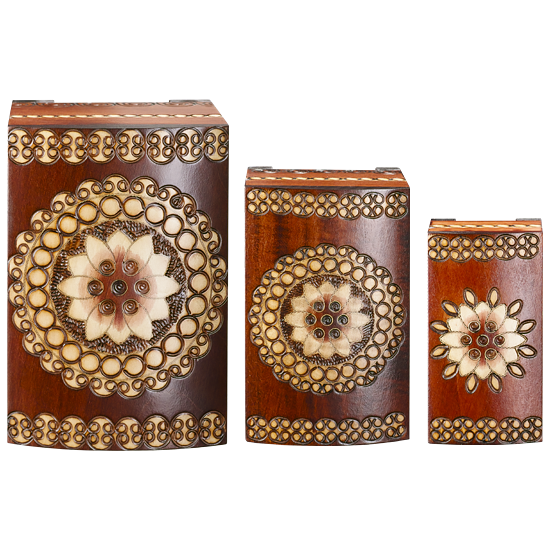 Designed by EWB, a nested trio of floral oriented boxes with abundant trim and lace inspired patterns. The larger box houses the medium box; medium box houses the smaller. Can be resold as a set or individually. Assorted colors: magenta, red, and brown.